The Star Men marks the first appearance of Matthew Waterhouse as Adric in the Main Range of audio adventures from Big Finish Productions. You never got any Star Trek villains with glowing eyes but these strange Star Men are determined to make life hard for those who are daring to boldly go. I suppose it was right that Andrew Smith, the guy who wrote Waterhouse's first television story, Full Circle, should return to give us his first proper audio outing. Smith does a really good job at world building with his futuristic bases, deep space exploration ships, alien worlds with a dash of real world science and mathematics to keep Adric busy. And the story has some truly creepy and disturbing adversaries that wouldn't be out of the realm of possibilities in the modern series because the special effects could really do them justice. This story also sees Adric acquire a love interest - a girl who is also something of a child prodigy to match Adric's intellect. Janet Fielding's Tegan is given the old boot and pushed to the side-lines, she gets stuff to do in the final episode but up to that point, she is just around to be the Mouth on Legs and issues plenty of snide remarks while trying to stay alive. Nyssa pleasingly still gives us her Big Finish assertiveness, finding small ways to pitch herself into the action unfolding around her and taking charge of the supporting characters. Even the Fifth Doctor spends much of his time in the background, with the story favouring the inclusion of Adric instead. But I'll give Smith his due, the crowded TARDIS is a difficult team to write for. On one hand, Big Finish has made a vast improvement to those teams and characters who the show didn't do justice to, giving them an important part to play in each story, but on the other hand, the Doctor is often pushed to the role of cheerleader, allowing his friends and villains to play a bigger part in his own story. He does get a lot of fast-talking to do in this one though. Both Peter Davison and guest star, Peter Guinness seem to have had fun, pulling their acting chops for some good old-fashioned goodie VS baddie scenes. Now, I really like the Fifth Doctor era, it is probably my favourite time of the show, it will probably always will be. I think that some of the crowded TARDIS stories are some of the best Who stories out there. 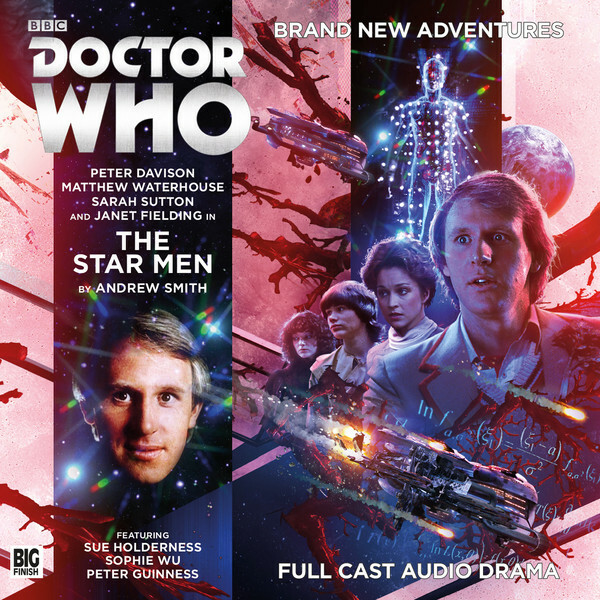 And Peter Davison, Janet Fielding, Mark Strickson and Sarah Sutton have a great rapport, making the recent older Nyssa story arc one of my favourite times from Big Finish.